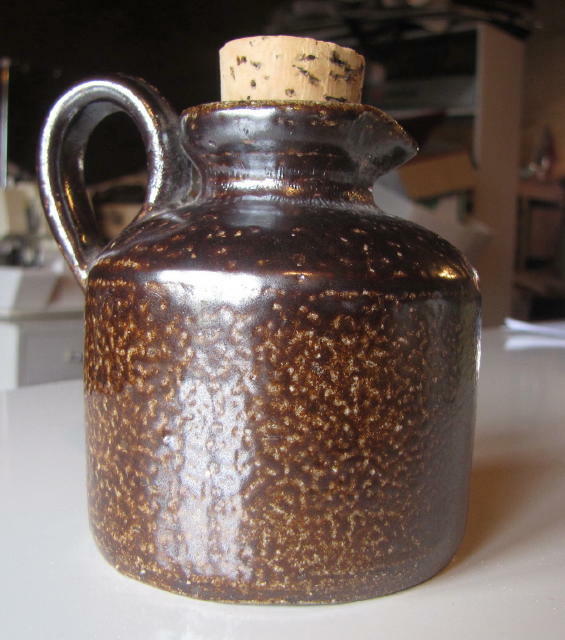 I bought this little jug recently. It's salt glazed and well made. I can't help but think BEND GO should be Bendigo so it could be Australian, but Epsom? Can anyone help please? I've sent the photos for uploading. 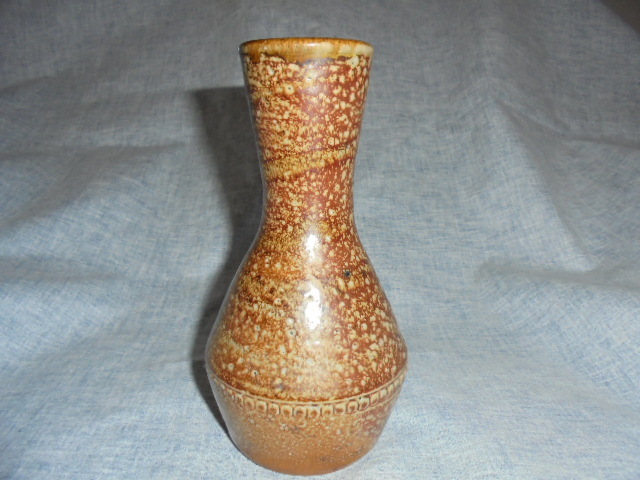 I adore Bendigo pottery and have several pieces. Some have Epsom on them too. I'm sure that it reads Bendigo and the I has disappeared in the salt glaze. I would love to know how to date these stamps as that bottle looks old to me. 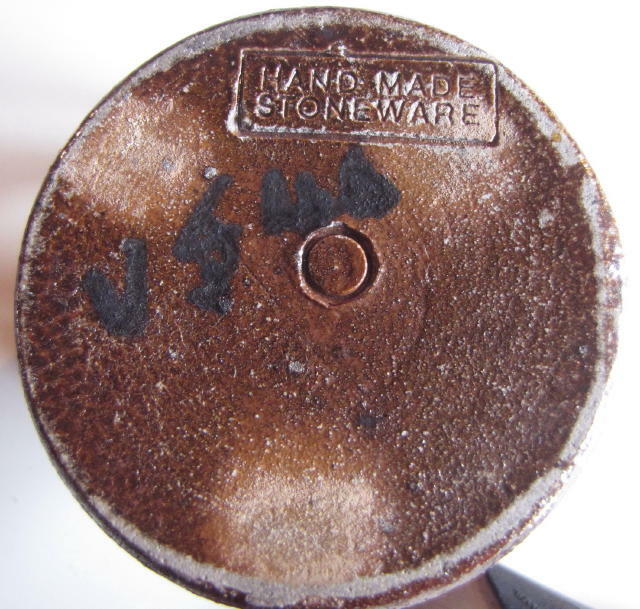 Geoff Ford's Encyclopaedia of Australian Potter's Marks  says the mark with the thrower's initials were used from 1970 to 1987 for a range called 'Epsomware'. Wow, Thanks everyone. Now I love my little jug even more. I bought it from an op shop and they had 2 pots. If I could remember which op shop I'd go back and get the other! 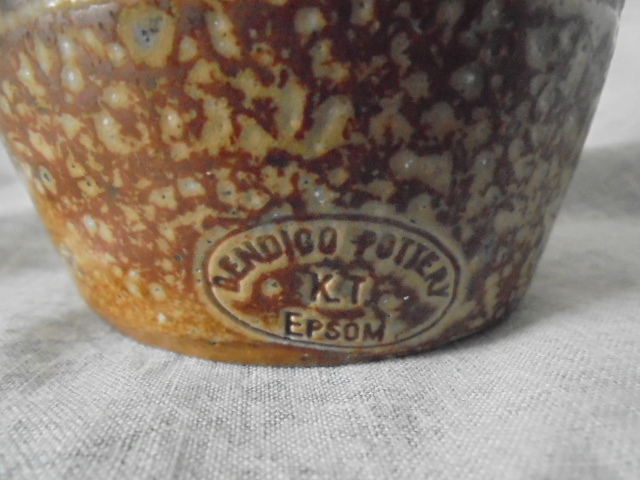 TonyK wrote: Geoff Ford's Encyclopaedia of Australian Potter's Marks  says the mark with the thrower's initials were used from 1970 to 1987 for a range called 'Epsomware'. Where are the initials Tony? Are they inside the stamp like the A.L. on Glenys's? 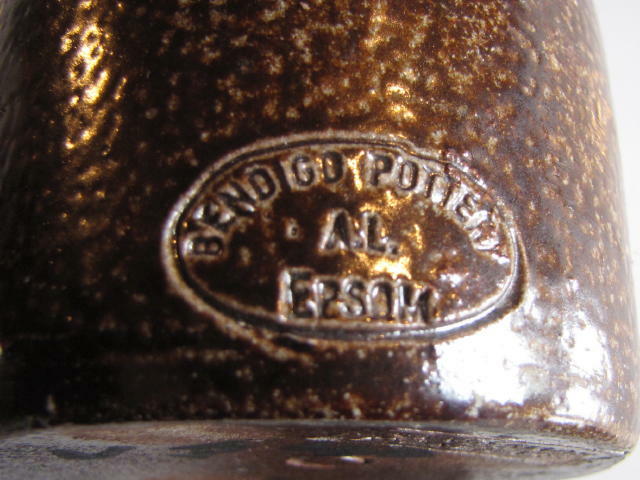 The AL is in the same place as the example Geoff Ford gives - his has A.D. for Adrian Denham and says "This mark was used in conjunction with several other potter's marks." Any body know who AL is? A.L. is Allan Letts. 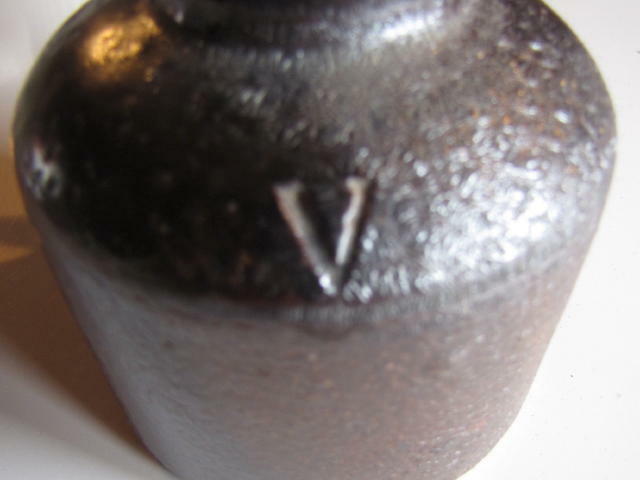 One of Ev's photos has the initials W.A., William Akkermans. I couldn't even read the first initial on my sugar bowl... so thanks again ! 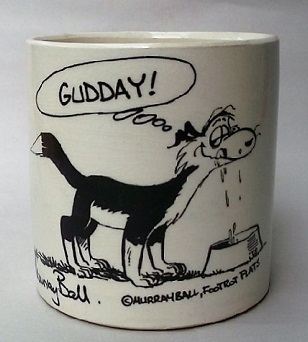 The jug I got in 1987 doesn't have any initials ....? Though I have a feeling that it is slipcast. Iv'e never been a fan of text script but you've finally made me use it. OMG! Tony, you are amazing! Thanks for that info. I can update by database with detailed info. Thank you!